January 30, 2013 by Iva P.
The Parisian winter is an institution of which no good can be said. The tremendous, arctic cold of the United States is almost unknown, as is also the beautiful, clear, frosty weather; in their stead come an almost endless succession of gray, misty, unutterably damp days, with a searching, raw cold that penetrates even to the dividing asunder of bone and marrow. The dearness of fuel, and the totally inadequate heating arrangements in most houses, add to the cruel discomfort of this season, in which the poor always suffer greatly. The number of unemployed is always large, and among them are frequently to be found those accustomed to the comforts and refinements of life. 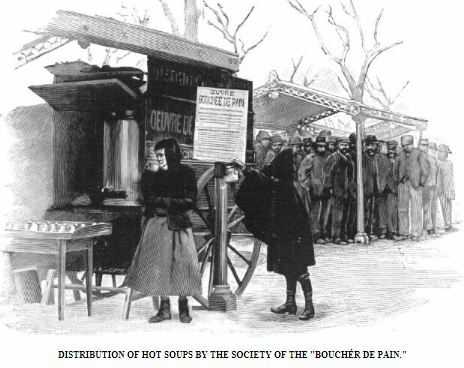 A recent article in a Parisian journal describing the charitable distribution of hot soups by the organization of the Bouchée de pain [mouthful of bread] cites the instance of a lady among these applicants, so well dressed that the attendant thought it right to say to her: “Have you come through simple curiosity, madame? 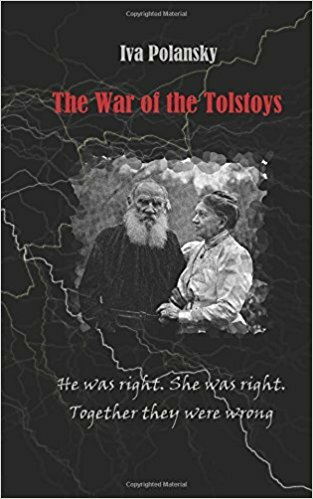 In that case, you should not diminish the portion of those who are hungry.” The lady answered simply: “I am hungry.” It appeared that she was an artist, had exhibited twice in the Salon, and yet was reduced to this necessity. This charitable organization is distinguished from most others by the fact that it asks no questions and imposes no conditions on those who come to it for aid. Consequently, its various points of distribution are crowded with long lines of the shivering and famished, and the smallest offering from the charitable is thankfully received.